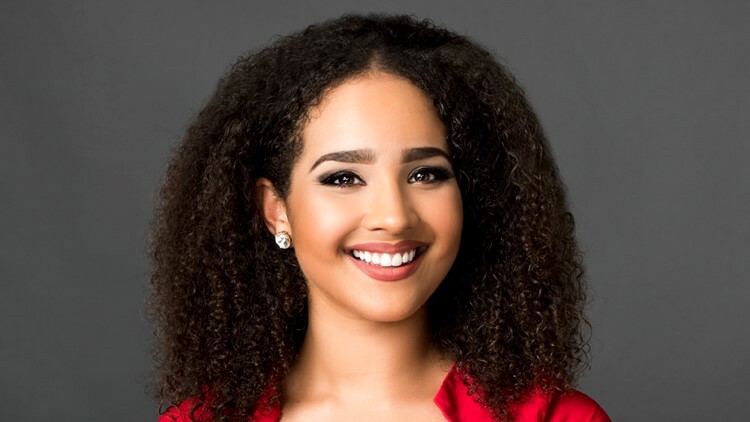 Demetria Obilor – Bio, Net Worth, Is She Engaged, Who is The Boyfriend or Husband? In America, there is not a shortage of ways to achieve fame and become a famous personality. From entertainment to politics to journalism, there is a myriad of ways to achieve popularity in the United States of America. Demetria Obilor has taken the path of journalism, working as a traffic reporter on a television channel in Texas. However, if you are familiar with her, you would know that it is not her work reporting traffic news that has made her a modestly popular personality. While she became famous for performing her responsibility as a journalist, it was down to a body shaming scandal in 2017 where she became the subject of a racial attack by one of the viewers of her show that brought herself nationwide attention. You can learn all about the scandal and the life of Demetria Obilor by reading below. Demetria Obilor arrived in the world as one of four children born to her parents on the 29th of March, 1991. She is the only daughter as she has three brothers who are named Uzoma, Ikenna and Obilor. There is no information about the exact identity of her parents but she is known to have been born to a Nigerian father and an American mother in Kansas City. Obilor spent the first 14 years of her life growing up in Kansas before her parents relocated to Las Vegas in 2005. For her education, she went back to her home city in Kansas where she studied Broadcast Journalism at the University of Kansas, graduating in 2012. While she was a student, she began to gather some experience as a journalist by working for an NBC affiliate station in Kansas City, named KSHB-TV as a production tech. Her work impressed the management of the station as a student and she was subsequently offered a position as a traffic reporter for the morning news after she graduated, which kickstarted her career as an onscreen journalist. During her time at KSHB-TV, outside of working as a traffic reporter, she also worked on growing the station’s social media presence and she was able to grow the station’s following to over 1000 followers during her time at the station. She has also worked for KUJH-TV where she worked behind the camera as a writer and graphics creator. Demetria Obilor joined KLAS-TV, a CBS affiliate station in Las Vegas where she continued her work as a traffic reporter. She also worked on a show, What’s Driving You Crazy? while she was with the station. While she worked in Las Vegas, she competed in the Las Vegas’ Container Park Fashion Show and won the grand prize. After leaving Vegas, Obilor headed to Dallas where she has been working for Channel 8 as a traffic and news reporter. While she worked for the station, she became a subject of national conversation when she tweeted out racist emails she got from viewers of the station and a live response she gave to a woman who criticized her dressing on the channel. Is She Engaged? Who is Her Boyfriend or Husband? As far as relationships go, every evidence suggests that Demetria Obilor is not in one. Granted, Obilor is a private individual who seldom shares her personal life with the public but her social media posts and a look through her event appearances suggests that the popular TV reporter is single. At the moment, having gotten the exposure of a national journalist but still working for a local news affiliate, Obilor seems to be dedicating her time to build her career and move to the next level. By all means, Demetria Obilor is not a poor or starving woman, but as a local television reporter, she earns a lot less than her counterparts on national television. At the moment, her exact net worth is unknown but considering her position and the salary average for local TV reporters between the range of $58,000 and $130,000 per year, one can confidently say Demetria earns enough to live a more than comfortable life. 1. Red is her favorite color and Halloween is her favorite holiday. 2. Demetria Obilor enjoys spending time with her family. 3. She is a big fan of traveling and she loves films, most especially horror films.